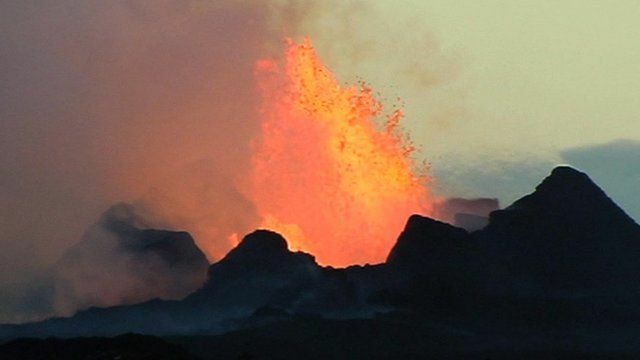 Lava flow threat to Iceland road Jump to media player The flow of lava from an erupting volcano in Holuhran, Iceland, has continued to spread and threatens to cross a major highland road. Video of eruption at Iceland volcano Jump to media player Video footage shows a new eruption from a fissure near the Bardarbunga volcano in Iceland's Holuhraun lava field. Volcanic eruption captured on camera Jump to media player What might be one of the last explosions of ash from the Grimsvotn volcano in Iceland has been caught on camera. The flow of lava from an erupting volcano in Holuhran, Iceland, has continued to spread and threatens to cross a major highland road. Lava from the volcano in Vatnajökull National Park currently covers an area of about 25 sq miles (40 sq km) and is 200m from the Gæsavatnaleid highland road. The road, which has been closed to the public, has been used by scientists in the area who are conducting research into the lava flow. On Wednesday about 40 earthquakes were registered in the area. 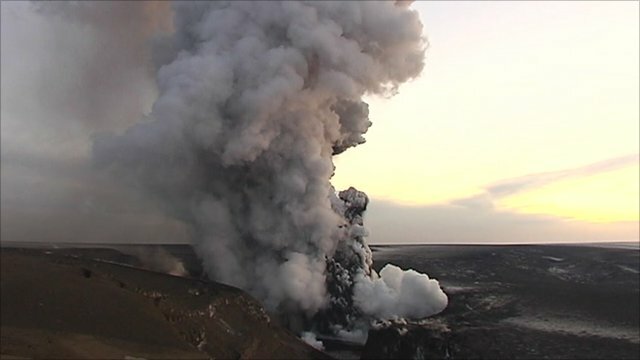 Pollution from the volcano has also affected towns in the north and east of the country.